NVIDIA’s Pascal GPUs are the most advanced and the most efficient FinFET based chips made to date. 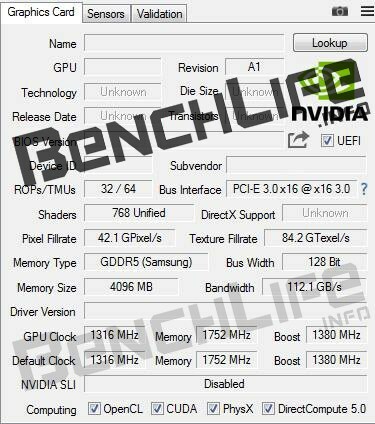 The first specifications of the GeForce GTX 1050 graphics card have been leaked by Benchlife. 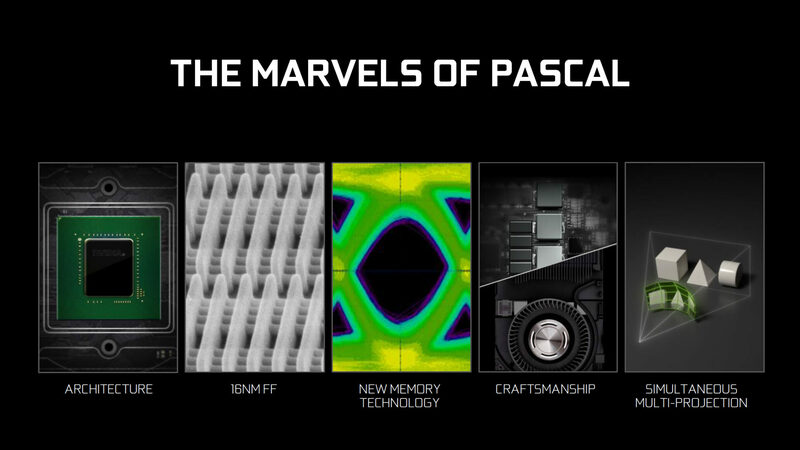 The source alleges that the entry level NVIDIA GeForce solution based on Pascal will feature a new chip. Based on the same FinFET architecture that is featured on the flagship Titan X graphics card, the GTX 1050 will offer users increased GPU efficiency and performance compared to previous generations. 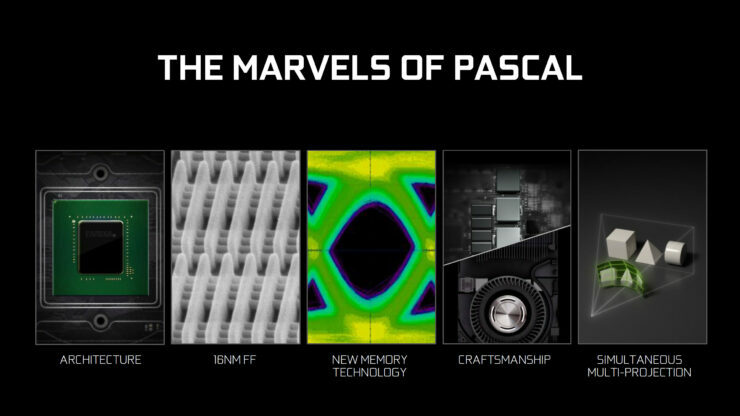 NVIDIA has so far introduced three Pascal chips for the consumer market. The GP102 for Titan X, GP104 for GTX 1080 and GTX 1070 and GP106 for GTX 1060. A fourth chip will soon be arriving to consumers in the form of the GTX 1050 card. This chip is known as GP107 and would be the smallest Pascal chip unless NVIDIA plans to intro a GP108 GPU. The specific codename for the SKU being used on GTX 1050 is allegedly GP107-400. This indicates that the chip is the fully enabled SKU with no disabled cores. The specifications listed down at the source reveal that the GP107 features 768 CUDA Cores. This would mean we are looking at 48 TMUs and 32 ROPs. As for clock speeds, we are looking at 1318 MHz core and 1380 MHz boost clock which is around a 250 MHz jump over the GM107 GPU. This increases the texture fill rate up to 84 GTexel/s (almost twice of GM107). The card should also feature up to 4 GB GDDR5 memory clocked at 7 GHz. This gives us 112 GB/s bandwidth along the narrow 128-bit bus interface. A surprising thing about the GP107 chip is that it’s TDP is suggested at 75W. This means that NVIDIA can do away with additional PCI-e power connections on the reference cards. AIBs would follow too but that won’t stop them for offering more beefier designs that would cost extra. 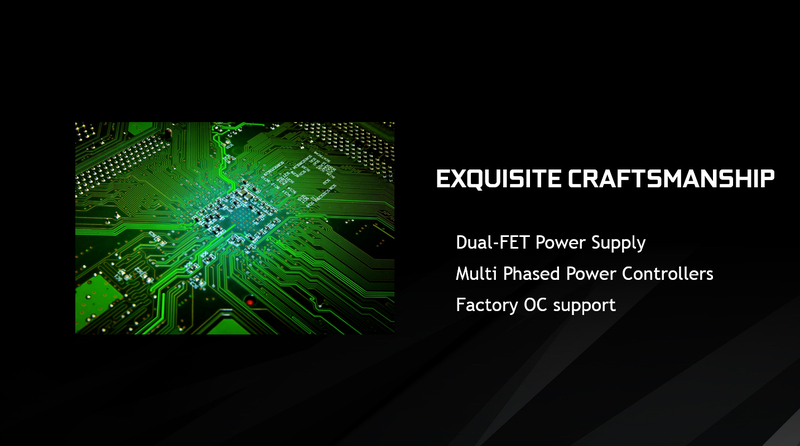 AMD’s Radeon RX 460 card also comes with no power connector on reference boards but AIB models with higher frequencies do support extra connectors. As for price and performance, it is expected that the GeForce GTX 1050 should cost close to $149 US since the 3 GB GTX 1060 costs $199 US. The card is expected to perform close to AMD’s RX 470 graphics card. The GeForce GTX 1050 is expected to be available in mid-October. It should be a ideal solution for gamers who want to play MOBA and AAA titles on 1080p displays. The GeForce GTX 1050 should pack all the Pascal goodies found on the other GeForce solutions and will bring those to gamers at a much more affordable price range.